State Rep. David Sawyer’s contact with staff is now restricted, according to House Majority Leader Pat Sullivan. Sawyer is a Democrat from Parkland. House officials are conducting a review. 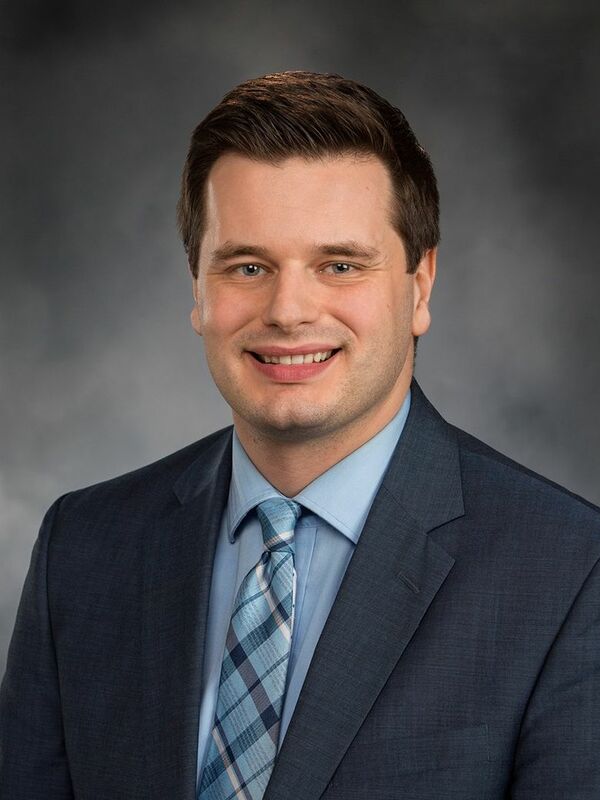 OLYMPIA — Washington state House officials are reviewing an allegation of inappropriate behavior against state Rep. David Sawyer, D-Parkland, that may have created a hostile work environment. House Majority Leader Pat Sullivan, D-Covington, wrote in a statement Wednesday that the allegation was recently brought to his attention. “In the meantime, I have talked with Rep. Sawyer about this matter and have restricted his contact with staff,” Sullivan said. A spokesman for the Democratic House Caucus confirmed the allegation was made by a woman. “A decision will be made about any future actions once the Chief Clerk’s review is completed,” Sullivan added in his statement. In a text message, Sawyer wrote that he didn’t have details on the nature of the complaint. Sullivan said he could not provide details about the nature of the allegation. First elected to the state House in 2012, Sawyer is the chair of the House Commerce & Gaming Committee. At least two lawmakers in recent years have been disciplined after allegations they harassed staff members. The allegations against Rep. Jesse Young and former Sen. Pam Roach were not sexual in nature. In recent months, women have stepped forward publicly with allegations of harassment and abuse against several former lawmakers and lobbyists. Spurred by the #MeToo movement, more than 200 current and former female lobbyists, lawmakers and staffers have signed onto a letter calling on legislative leaders to end a culture in Olympia that allows sexual harassment and inappropriate behavior. That letter contends that there are no neutral, safe places for those working on the Capitol campus to report misconduct, and few “meaningful consequences” for people who act inappropriately. Meanwhile, lawmakers and legislative officials have grappled over how to change an outdated and politically tinged complaint system that has received little scrutiny over the years. The last formal harassment complaint was filed in 2007. The Senate and House more commonly deal with complaints through an informal process, where people are urged to resolve problems by themselves or by speaking to their direct supervisors. The House staff is made up of workers directly overseen by partisan employees and others who are considered nonpartisan. House officials last year — before the #MeToo movement emerged — had begun a review of harassment policies. The Legislature since then has expanded sexual-harassment prevention training, and House lawmakers voted to create a task force to review and recommend other changes, such as a code of conduct. In December, Rep. Matt Manweller, R-Ellensburg, resigned from his House leadership position and later was stripped of his role as the top Republican on a labor committee. Those moves came after The Seattle Times detailed complaints made by a legislative staffer and former students of Manweller, who is a professor at Central Washington University. One story described the case of a woman who worked at the Legislature last year and had complained about Manweller after a meeting with the representative turned into a dinner that she said felt more like a date. Another story detailed past investigations at CWU related to harassment. The university, meanwhile, put Manweller on leave and announced a new investigation of allegations of inappropriate conduct. Manweller has denied wrongdoing at CWU and in Olympia and has said he resigned his leadership role to avoid becoming a distraction.